Megan is sharing her childhood crushes, and I thought I would do the same and just keep this week consistent, lol. Jordan from The New Kids on the Block was probably my first memorable crush. I had the barbie doll version of him and everything. Fun fact, this doll had totally plastic painted on hair yet a barbie hair rat tail. It was awesome and gross all at the same time. 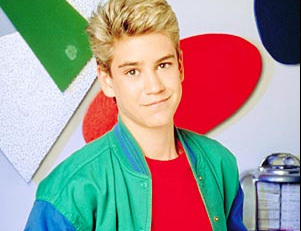 What girl didn't have a crush on Zack Morris back then?? He was the sassy bad boy, right? Now he is totally lame, everything has come full circle. Fun fact, I was thrown out of a Dustin Diamond (Screech) stand-up comedy show because my bf at the time and his friend were heckling him, lol. He is terrible and totally deserved it, so don't feel bad for him. Jordan Catalono. His eyes pierce my soul. 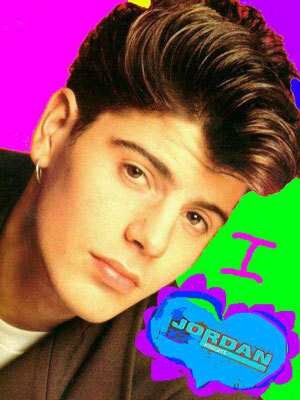 I was a giant fan of My So Called Life back in the day and like Angela, had it bad for Jordan. Such an enigma. My grunge heart throb <3 Not so fun fact, Jared Leto is 41 now!!? Way to make me feel super old. 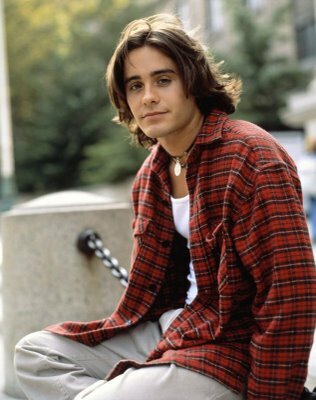 So that wraps up this edition of Natalie's childhood crushes. Who did you crush on when you were young? It's so funny to look up some of the guys we had crushes on to see what they're like now and it's like "what was I thinking?" Thanks for linking up! Oh my gosh, this is too funny! I was born in '90 so my big crushes came during the late 90s/early 2000s--my biggies were Freddie Prinz, Jr., Shane West and Drake Bell. What a fun link up! I remember all of these! and I loved the Ladybugs movie, no idea he committed suicide :( sad. Haha this is awesome! Oh man I was totally into: Andrew Keegan and Devon Sawa the most! Then the two oldest Lawrence Brothers and get this....David Duchovny!! (guess I liked the older men?) I remember once I wrote a letter to the Lawrence boys and totally believed that they would read it, call me up, and I'd be one of their girlfriends for SURE. I had a crush on all except the kid from the Dangerfield movie.